We're pleased to announce a new version of our AwesomeTable Connector that will be progressively rolling out starting 5 April 2018! Important: When the new release is available, you'll need to take some actions to benefit from it. 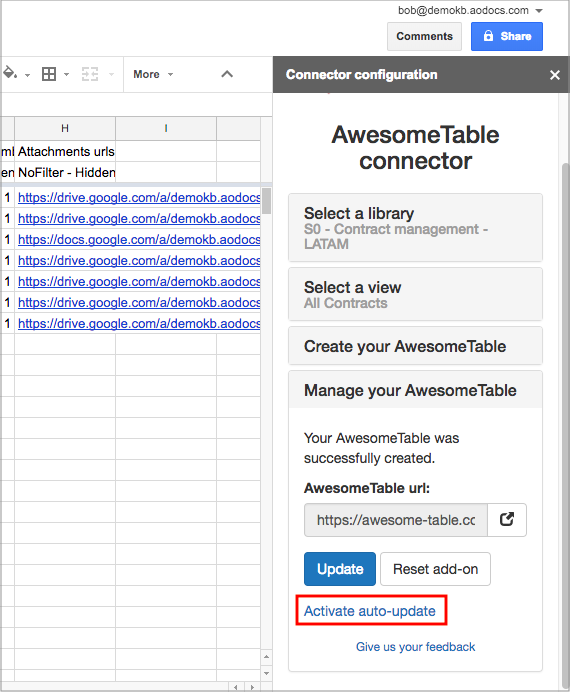 For several months there has been a recurrent problem with the auto-update feature in spreadsheets using the AwesomeTable Connector. This was due to a Google issue. We want to apologize for this inconvenience. We’re really happy to announce that this release brings a new auto-update feature. Important: You’re recommended to do these actions before the AwesomeTable connector release. You must install the Marketplace app. For those who already have the marketplace app installed, you must accept the new scopes in your Google admin console to use the auto-update feature. 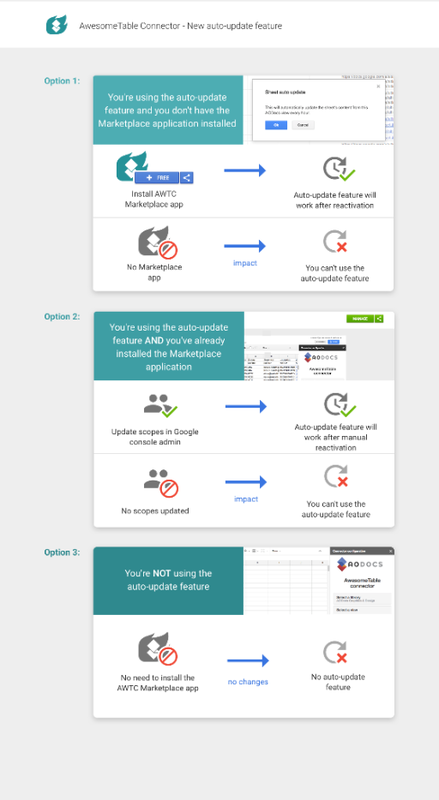 If you’re not planning on using the auto-update feature, there’s no need to install the Marketplace app. After the AwesomeTable connector release, all your existing auto-updates will be deactivated. You’ll have to manually reactivate them to use the new system.